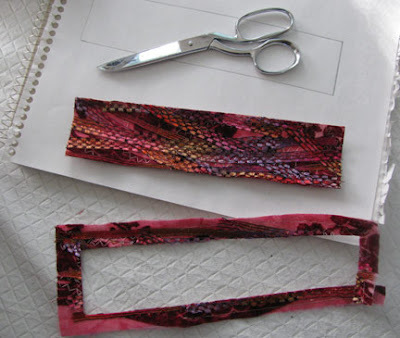 I promised a few weeks ago that I would write up instructions for how to make the bead embroidered cuff bracelets that I'm doing each month for the Bead Journal Project 2010. You can see all of my bracelets as they appear each month by choosing Bead Journal Project under the heading "Categories" in the sidebar. Or just click on the last link! Anyway, here's how I am making them. Not all of the fabrics are as complicated as this one. Sometimes I have painted the fabric, and sometimes I'm using plain commercial fabric. 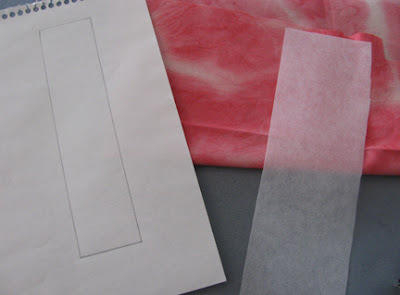 Steps 3 through 5 deal with making a more complicated collaged fabric base. 1. Decide on pattern and draw it for future reference - measurement of wrist plus 1 inch for button overlap. 2. Pick and cut background fabric larger than pattern. Iron on a piece of Pellon fusible interfacing (lightweight) to back. 3. Layer on embellishment fabrics, zig zag stitching into place. 4. Cut to just a hair larger than size of pattern. 5. Zig zag stitch all around outside. 6. Stitch on button closure and embellish with beads and embroidery threads. 7. Twist and zig zag stitch some fibers for a loop closure. Machine stitch into place on back of embellished bracelet top. 8. Pin top to a backing fabric all around the outside and a few spots inside to keep from slipping. Cut backing even with top. Machine baste all around the edge. 9. 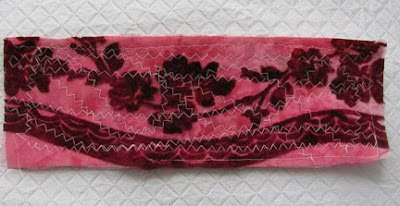 Embroider around the edge with buttonhole stitch, adding beads every other stitch. 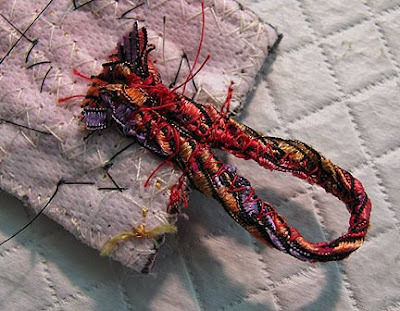 Do not sew beads to the edge where the button is - the loop end will overlap it. Great tutorial Cyndi! I love the finished bracelet and would have had no idea how to start or what to do to create it! Thank you so much for sharing all you do with your friends here in blogland! When I first saw this bracelet pictured in an earlier post, I thought it was covered in seed beads and require way more patience than I am capable of mustering. Thank you for the great tutorial. I think I can do this! 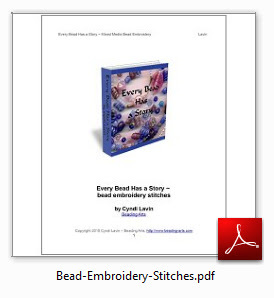 Cyndi, I was just delighted to learn I'm the winner of a month's free advertising on Beading Arts. Ahhh...they often are totally covered, but there are LOTS of ways to cheat! Love this idea! Great instructions, too, you make it look so easy. Thanks Cherie! It *is* easy...just nit-picky and time consuming lol! I REALLY love these Cyndi...these are gorgeous and it's wonderful of you to share the technique with us! What a gorgeous bracelet, Cyndi! 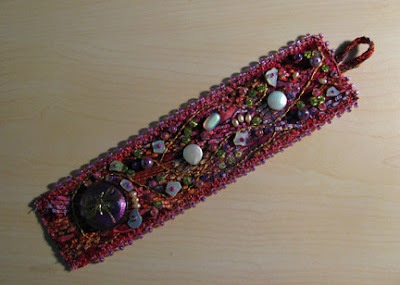 and what a great tutorial... seeing the bracelet evolve is really fun! Enjoy wearing it! I love it! I thought it was covered in seed beads too. What a neat way to get that look. Thanks for the tute, Cyndi! What fun to see you do a bracelet each month. I choose to do a pendant so that I could wear my BJP as you do. I love how people have done buttons too! Oh my... very pretty cuffs Cyndi! I too love to use buttons in my beadworks - the older the button, the better for me. Lody, I can't wait to see what you make when you join the BJP this year!